Most churches believe they have open doors that just scream “welcome!” and may actually see some success in getting 1st time visitors. But then, over time, not many people actually return for another visit. Where did they go? Follow – Up Is the key! 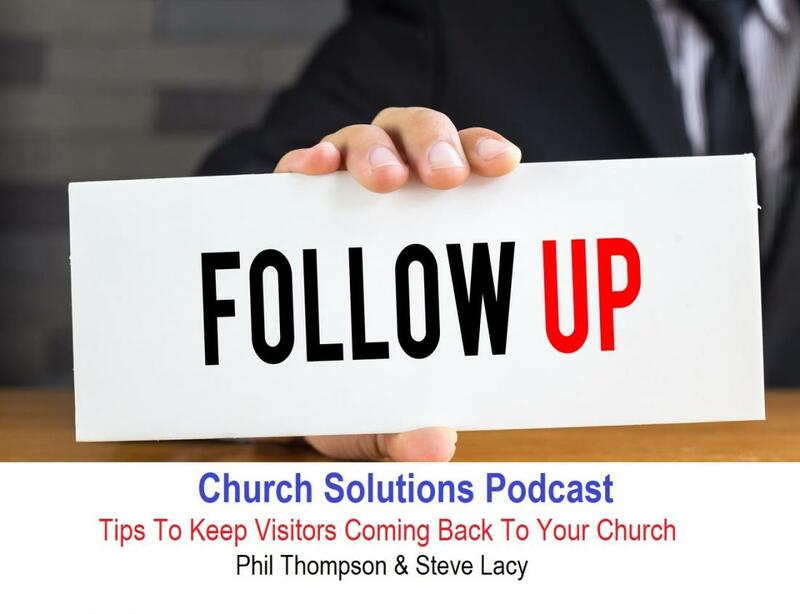 Your church visitor retention rate is highest when you follow-up with visitors within 48 hours. Retention rates of a first time visitor is 34%, 2nd time visitors 51% and 3rd time is 78% in fast growing churches. 15% of guests return if visited in 7 days. Note: I’m not suggesting for a second you do all of these! My main purpose here is to offer some suggestion on how you can follow up in your church. Find what works best for you and tweak it to your local church setting. Try having a children’s worker call the parents and introduce themselves, or a youth worker as appropriate. Try to determine what kind of person the visitor is (their age, occupation, interests etc.) and have someone with a similar profile call them and invite them to a church event or activity. Nothing beats the personal touch, especially from the pastor himself. This gives a great personal touch and helps make the visitor feel valued. For sample church visitor follow up letters and other document templates check out our Docs and Forms church resource. This could be a friendly invitation from a home group leader, specific class leader or outreach staff member to a home group in their area, a relevant course or social event. Contact and catch up with all the guests who have visited your church in the last 12 weeks and find out where they’re at. Are they in church, joined another church? Do they have a prayer need? One tip I would give is to write a personal note to every first time guest. We encourage all guests to fill out our info card and those that do get a handwritten personal note sent to them. We get colorful note cards from Wal-mart and send via mail.